Heather Allen Hietala lives an artful life. She creates handmade books that stem from her passion of journaling. She is a mixed media artist creating textiles for the wall; and ceramic and mixed media sculptures for the wall or pedestal. Her work is inspired by a desire to process and express life’s experiences. 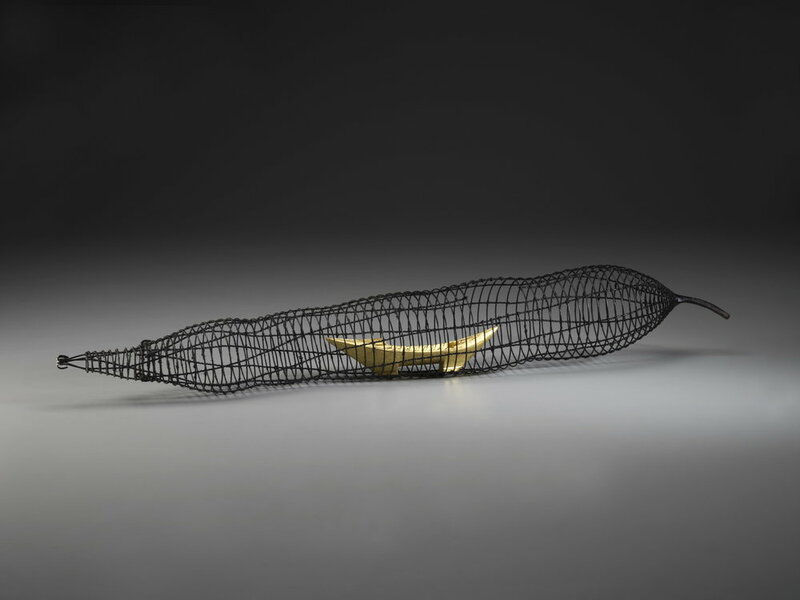 The vessel, as a symbol of the journey of life, is a reoccurring theme in her work. 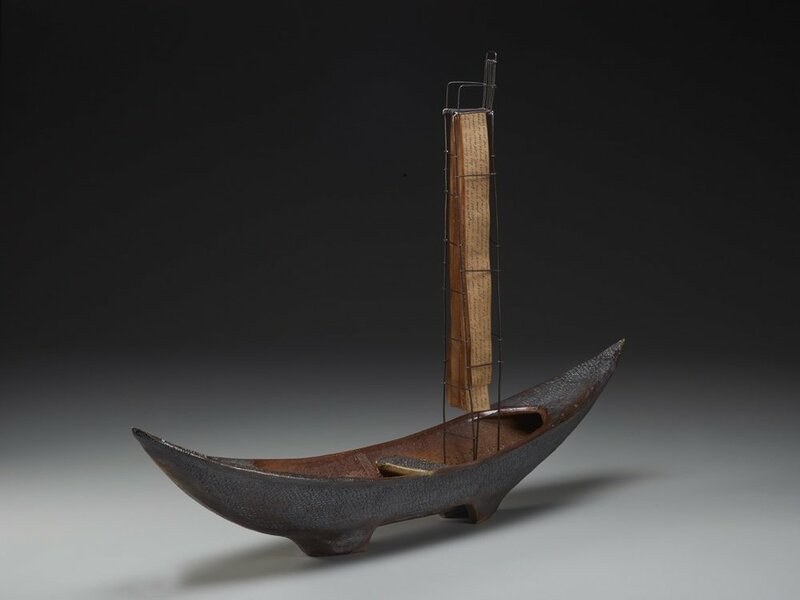 For Heather a boat can represent a journey, or a vessel can symbolize self. 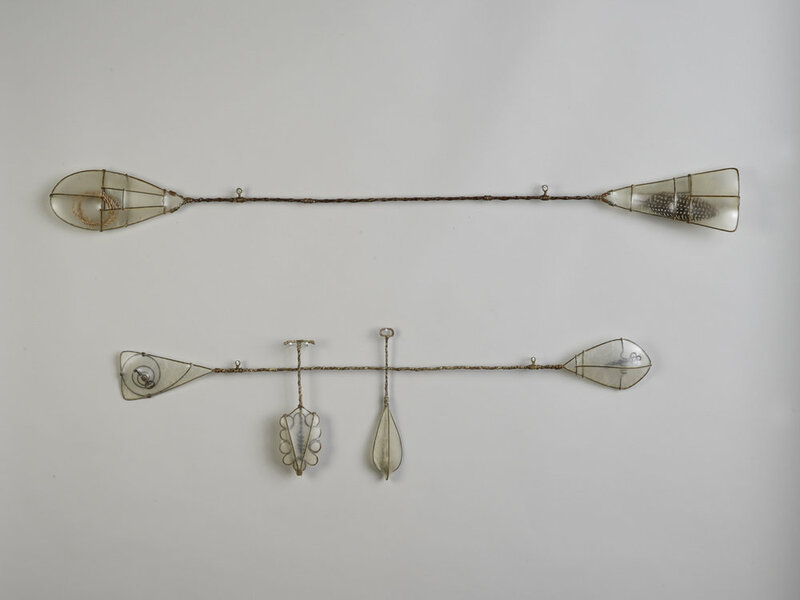 It is a metaphor of interior and exterior, of containment, of transport and time; and using a tool like the boat or tatting shuttle, Heather has the ability to tell a story. It is both universal and personal. 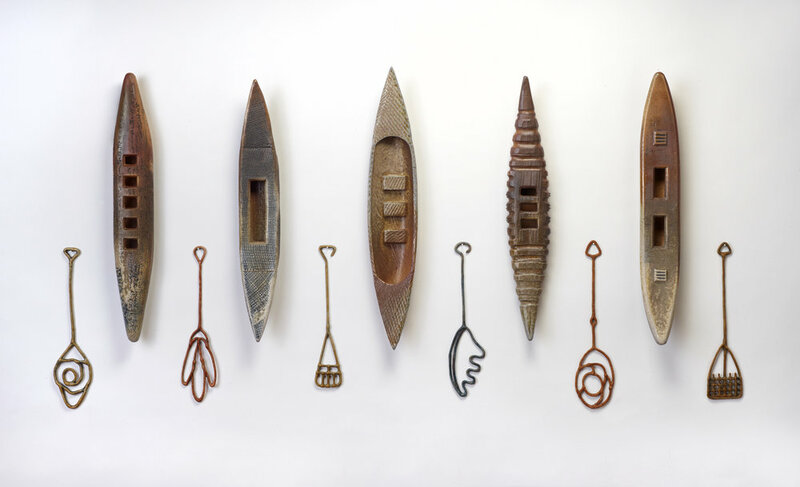 The vessel and boats give her a vehicle to investigate new ideas, narratives and relationships. Heather is currently teaching workshops in her home studio. She previously taught Design as an adjunct professor at Haywood Community College. She has also taught workshops locally at Odyssey Center for Ceramic Arts, Asheville Bookworks and Cloth Fiber Workshop; and nationally at Penland School of Crafts, Arrowmont, and Haystack. In 1999, Heather completed a textile replication project, the bed canopy and drapes for the Morland Room at the Biltmore Estate in Asheville, which was featured on the Modern Masters Program of Home and Garden Television. In 2013 she completed a second textile replication project for the Biltmore Estate, the 4 pelmets above the windows in the Second Floor Living Hall. In addition to her studio work she has written a book on weaving and articles and reviews for Fiberarts Magazine and Surface Design Journal. Heather’s work has been shown in numerous venues across the US and internationally including the Oeno Gallery, Ontario; Blue Spiral 1 and Asheville Art Museum, Asheville; Wustum Museum of Fine Art, Racine, Wisconsin; Mint Museum of Craft and Design, Charlotte, North Carolina; and the Singapore Art Museum. Heather’s Asheville studio consumes almost her whole house. She devotes rooms to create book arts, textiles, and ceramics. Her living room is a display space for her art and her collections, but she also loves gardening. Visiting her home is glimpse into an artful life, guided by the artist herself.